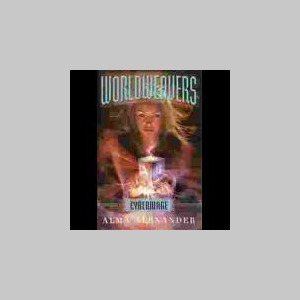 I am Alma Alexander, author of the HarperCollins YA series, WORLDWEAVERS. The third book, "Cybermage," has just been released in hard cover. Book 1 -- "Gift of the Unmage" -- and book 2 -- Spellspam -- are out in paperback. I write for both adults and children and have published 10 books. My best known book, "Secrets of Jin Shei," is currently out in 13 languages worldwide. Among my other books are the high-fantasy duology "The Hidden Queen" and "Changer of Days. " I have lived and worked on four continents, and currently make my home in Washington state with my husband, two cats and assorted visiting wildlife.